It’s been a crazy start to the month in our house, and Valentine’s Day crept up on me. I had wanted to make Valentines with both girls for their classes, but hadn’t really looked at ideas. I had seen a few variations of heart finger puppets on Pinterest, and decided that would be what we would make. So, I got out a few cutting tools that I have, a Fiskars Portable Scrapbooking Paper Trimmer, a heart template, and a Fiskars Circle cutter. 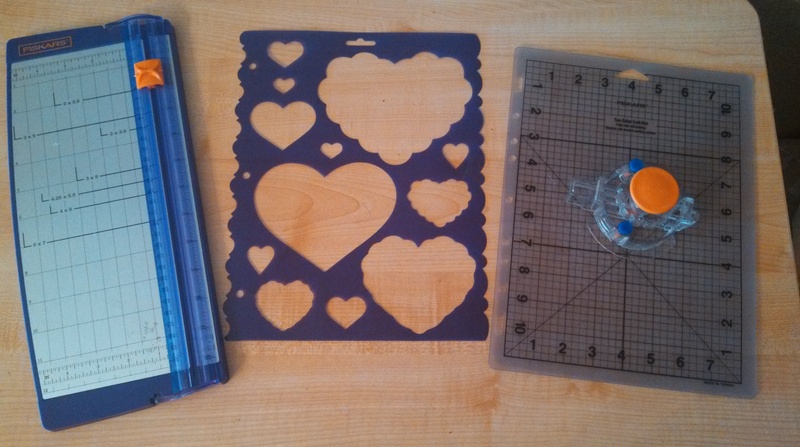 Use the template to trace the big heart on the left onto colored cardstock, and cut each out by hand. Use the circle cutter to cut two 1″ holes towards the bottom of the heart for the finger holes to make the “legs” with. Keep the circles. Cut a different color cardstock into 1″ thick strips that are 4″ long. These are folded accordion style for the “arms”. 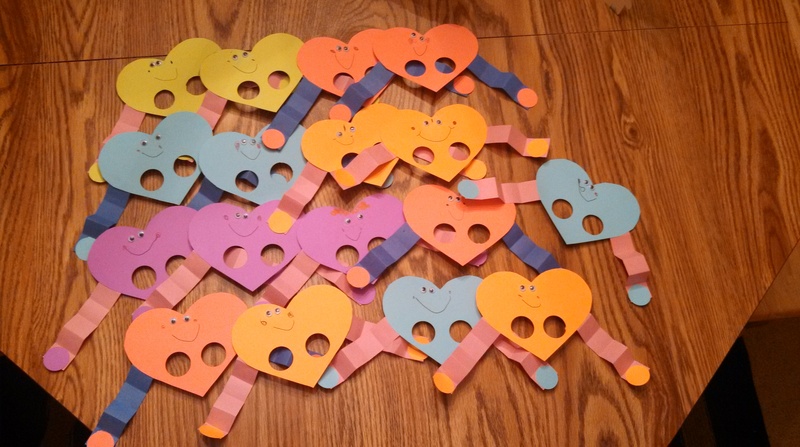 Use the 1″ circles that were cut out for the finger holes to glue on the ends of the “arms” to create “hands”. Write message on back side of heart, such as “From Your Friend, Jenny”. Glue “arms” onto back side of heart. Glue googly eyes on front side of heart, or draw eyes. Also draw a smile and cheeks. I did all the cutting, but my 4-year-old wrote her name on all of them, drew on the faces, and helped with the gluing. She loved making them, and was so excited to show them to all of her friends. And, her friends all had fun with them too!